Born and raised in Beirut and trained as an architect, Nina Rahal-Lott is a women with a vision. After witnessing the dire conditions that Palestinian refugees live in across Lebanon, she is single-handedly attempting to setup a voluntary organisation of environmentalists and architects to help in any way possible to improve the environment of the refugees. 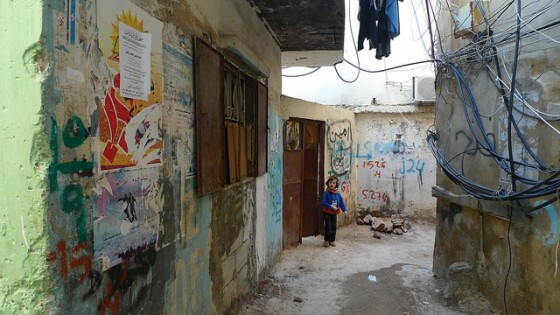 The conditions of the Palestinian refugees in Lebanon such as the Badawi camp are notoriously poor with sewage running in the streets and houses of low quality. Nina tells me that she is interested in improving the living spaces for the marginalized in Lebanon starting with the Badawi camp which is home to over 13,000 people and one of the worst camps in Lebanon. She is also hoping to get schools in Lebanon involved in architecture and the environment to take part and help come up with sustainable solutions to the refugee camp problems. As she states students need to be directly involved with those they are working with and recognise their humanitarian and environmental responsibilities. When I ask Nina why she thinks the environmental aspects is central to her vision she replies: “The environment was not part of my own architectural education- we were focusing on the visual aesthetics, functionality of space and even the concept / poetry behind the design, without taking into consideration the impact of all those ideas on the environment. :: Image via Al Jazeera English/Flickr. Previous Previous post: Can Israeli Oil Shale Outsize Saudi Arabia? Is there a way we can get in touch with Nina? I would really love to work on that project, I also thought of it a lot.